In the courtroom of Lord Malladene, Chief Justice of the Supreme Court, Richard Lebur stands accused of murdering his lover's lover. Lebur is convinced to change his plea to guilty to avoid a death sentence. At the last minute, as he is being taken to jail, he shouts out that he is innocent. Seven years later, Martin Campbell Brockenhurst, Viscount and ex-policeman, with Scotland Yard, pursues the case further, convinces that Lebur is innocent, motivated by his love for Lebur's wife. Eventually, the case clears itself to everyone's romantic satisfaction. 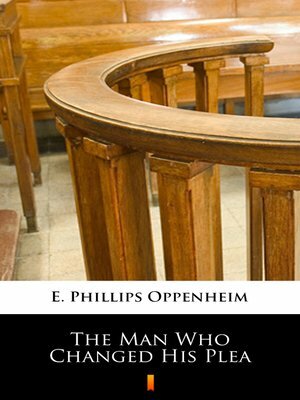 This later novel by Oppenheim is a mixture of the modern sensibility and the Victorian. There is more violence, scenes of abuse, and psychological anguish than in most of his writings.